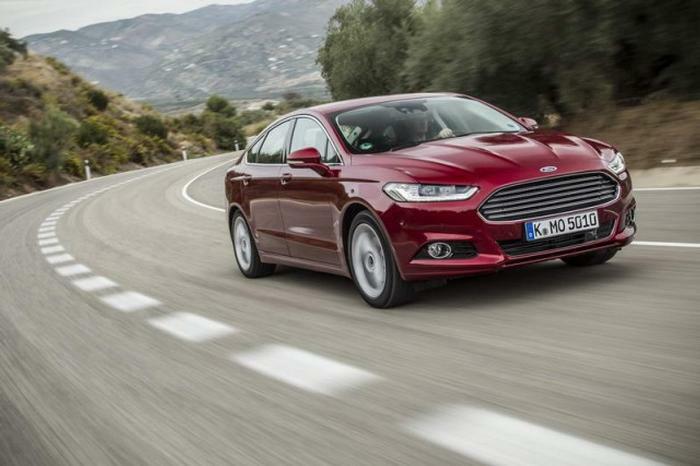 This is the Carzone.ie guide to buying a used Ford Mondeo. Here we look at the fourth-generation Ford Mondeo, a D-segment family car that has been around since the early nineties – replacing the Sierra. This iteration was launched in 2014, arriving in Ireland in the second half of that year, though it was perceived to be late arriving in Europe as it’s based on the North American version that went on sale more than a year earlier. The Mondeo was available as a capacious estate and some versions (the Vignale and Hybrid models, specifically) used a four-door saloon body, but the majority of examples sold were a five-door hatchback. Early on, trim levels were Style, Zetec and Titanium, but that evolved later in the Mondeo’s life to match buyer preference for more equipment. The latest versions are badged Zetec, Titanium and the sporty-looking ST-Line +, while the luxurious Vignale tops the range. Other than the HEV hybrid (which uses a 2.0-litre petrol-electric drivetrain), the Mondeo is predominantly diesel powered (1.5 or 2.0 lately, the 1.5 replacing an older 1.6-litre TDCi unit), though there were petrol offerings earlier in this generation’s life.